Begin your journey with the basics! 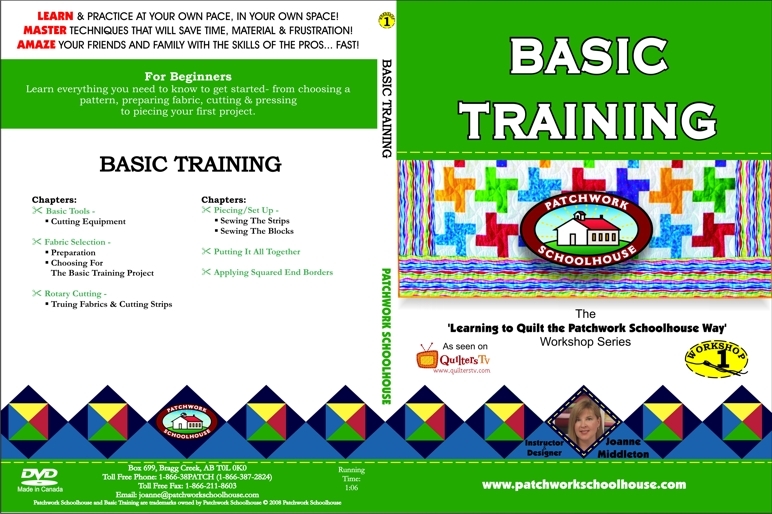 Joanne will guide you through your first project with the information you need to start you off on the right path. With great close-ups & lots of tips to keep you organized, this DVD is a great way to learn in the comfort of your own sewing room. Topics covered range from tool & fabric selection, cutting techniques, setting that perfect scant ¼" seam allowance, tips on block construction, putting blocks together & adding borders correctly. Everything you need to know to make that first step in your journey fun & accurate!